I’m Christine and I love creating an illustrative world of animals that inspire us to try freely and create fearlessly, without the fear of failure or self-doubt. And I am so grateful to have a lovely soul like you visit this space! It's been an amazing journey since I started pursuing my art full-time in September 2017 and I am overjoyed with the world that was created! And as a huge fan of behind the scenes glimpses and valuable conversation, I decided to create this #blushpatrons community to further connect with the loveliest people in this world! This space will not only allow me to share more personally with you through exclusive content and self-care goodie bags, but it will also give me a guaranteed income every month. Which ultimately means that I can focus on producing more content and hopefully grow Blush and May into a real-life dream, dedicated to spreading positivity, inspiration, and awareness. I believe that we need to be more kind to one another and even more so to ourselves. My ultimate goal is to create a community that can create that change. 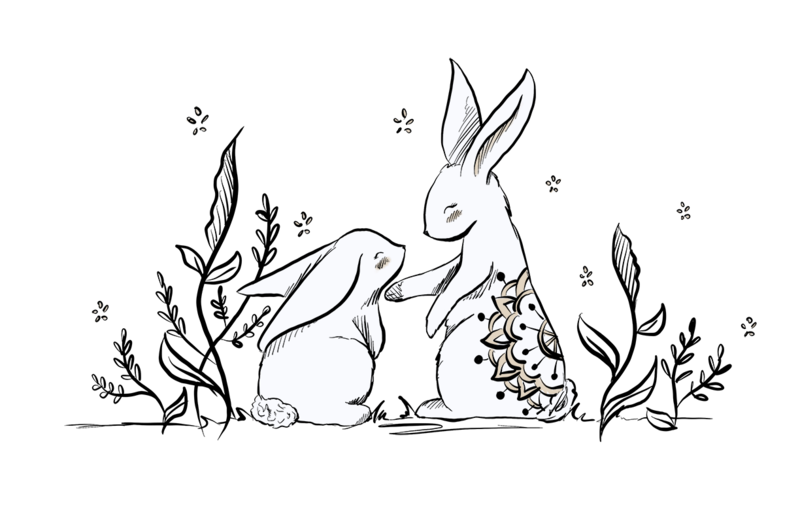 Illustrations, stickers, stationery, and books that drive positive messages so that we can become the magic in this world. If you love my message, my illustrations, and want to join the #blushpatrons, you decide how much you want to pledge per month from $1 onward. With your pledge, you’ll get to unlock the different levels of benefits in the tiers section. *I do not want those benefits to dictate how much you offer but seen as a thank you on top of the all of the content I have planned for you! And if you want to change or cancel your pledge, you can do that at any time. Every pledge means the world to me and words cannot express how lucky I am to have you a part of this journey! ✰ Bi-weekly Secret Blog Posts (You’ll be a part of the conversation!) - Be the first to know about my projects, updates, and anything that I have on my mind. This is a super secret conversation here on Patreon, between you, me, and no one else outside of this community! ✰ Voting privilege in polls! - Decide on video topics, product names, first look on new ideas, and anything like that, you’ll be my go to! ❤ And hugs for being a part of this adventure! ✰ First look on current projects! - Including full process videos not shared anywhere else, my book progress, artist journey and findings, and new products! Making mistakes is all part of growing, so I hope these peeks encourage you to make mistakes and grow along with me! ✰ Vote in exclusive polls relating to new enamel pin designs, journal creation, or any projects that are in the works! ❤ And all prior rewards and more hugs! ✰ Digital Self-Care Package - It’s a digital bundle of love from yours truly to give you that hug or nudge you need to achieve your greatest dreams. You’ll receive the PDF version of the monthly short story along with a worksheet to guide you through the month. And the printable cover art to add to your precious space! My hope is that this package brings you to your feet with inspiration and motivation. We have every ability to create the life we love. ❤ And all prior rewards and even more hugs all around! ✰ Monthly Self-Care Inspirational Goodie Bag (sent to you via snail mail!) - Sometimes we simply need a little push in the right direction and tools that we can learn to pick ourselves back up. Let the bunny, the bear, and their friends be your cheerleaders every month with this personal self-care package. *If you're looking for a package that is full of stuff, this is not it. But if you love my stories and want an original story and journal prompt to guide you to your dreams, this one is for you! ✰ So...what’s in the goodie bag? - The bags will vary each month depending on the focus and include a story card and worksheet. We’ll cover topics from self-love to mind management through the journey of my beloved animals. You’ll also get a brand new collectible mini print, stickers, and anything else I am working on, sometimes exclusive to you! My hope is that this goodie bag brightens your beautiful day and helps you to conquer your month and eventually your LIFE! ❤ You’ll also receive all prior rewards and you guessed it, another hug! ✰ Live session with me! - If you want creative help or feedback on your business, YouTube channel, or journal, connect with me every month! We’ll schedule a 45 min video or talk session as soon as you sign up. I can’t wait to see you there! ❤ You’ll also receive all prior rewards and a super special virtual hug when we connect!